Are you overweight? Are you obese? For most men, the two words might seem as though they are interchangeable, but they are not, at least from a health and medical perspective. Those who are interested in determining where they fall in the categories of underweight, normal, overweight and obese can find the information they need with the aid of a body mass index calculator. These calculators are available online, and they take just minutes to use. They factor in your height and your weight, divide them and provide you with a number that you can then use to see where you fit on the BMI scale. The scale has separate categories. Those who are underweight will have a BMI of less than 18.5. Those who fall into the normal range will have a BMI of 18.5 to 24.9. Individuals that are in the overweight category are going to have a BMI of 25 to 29.9. Obese men will have a BMI of greater than 30. These numbers are useful in helping men to determine where they are in terms of their weight, and it can help them realize what they need to do to lower their BMI score. As with most things that are as simple to calculate as the BMI, the scale does have some flaws. One of the most notable flaws is that some men who go to the gym have put on a fair amount of muscle. Because the BMI calculators use the height and weight of an individual, they do not take into account the weight of muscle. A man who is 220 pounds and is 5'8" tall will fall into the obese range of the scale. This is true whether the man is a couch potato or a bodybuilder! When one thinks about the scale in this manner, it is easy to see where the major fault lies. Most men aren't bodybuilders, and those who do not work out at all will be able to rely on the BMI calculators to help them determine their general weight to height issues. The numbers should not be the "be all end all" of understanding your overall health, but they can make a nice starting point for many people. If you know that you are out of shape, the calculators will let you know just how far you've fallen. Use the BMI numbers as a motivator. Start an exercise program and begin eating healthier. Take the time to change your lifestyle and then come back to the BMI calculator in a month. Put in your current weight and then compare it to those older numbers. They should give you the motivation that you need to keep working on your weight problem. 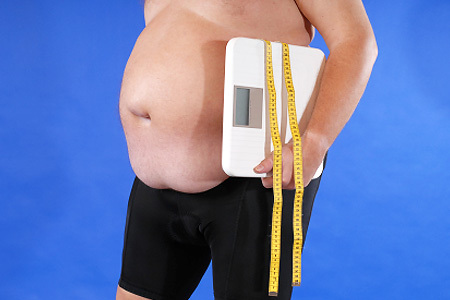 In addition to using a BMI calculator, men should make sure they visit their physician. The doctor will be able to let you know how your weight is affecting you, and will be able to let you know if you are fit enough to begin a rigorous exercise program of if you should ease into one.